On August 30, the Lithuanian-Russian International Transport Commission under the Ministry of Transport and Communications decided to expand the possibilities for carriers in Lithuania. From now on, Lithuanian road haulers will receive additional bilateral licenses and permits for the third-party cargo transporting. It was decided to allocate 7,000 bilateral permits this year to Lithuanian carriers, with the “authorized third party freight” special sign, as well as 1,000 additional permits for the third-country cargo transportation. Delegations have also approved quotas for the year 2019. Lithuania provides 170 000 bilateral licenses, including 21 000 – with the “authorized third party transportation” special sign and 12 000 permits for the goods of third countries transportation. Precise figures will be set at the next commission meeting. It’s important to remind that Russia is one of the largest export markets for transport services in Lithuania, followed by Germany. According to statistics, in 2018, in the first quarter, Lithuanian carriers provided transport services to Russia for 158 million Euro, which made 13% of Lithuanian export transport services. Compared to 2017, during this period, the export of transportation services to Russia increased by 16%. 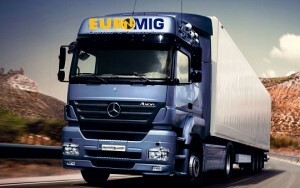 Our specialists will help start the transport business in Lithuania. In the presence of both completely new transport companies, and companies with a history. Companies have a transport license for transport operations, a full package of documents confirming the state registration and official registration of the company. The company price already includes all the costs for re-registration and the company’s management replacement. We also provide consultations on the issues of corporate licensing; we help to prepare the necessary documentation for the company licensing.